courtesy of Infrogmation @ Wikimedia Commons. 1937 photo courtesy of the Library of Congress. 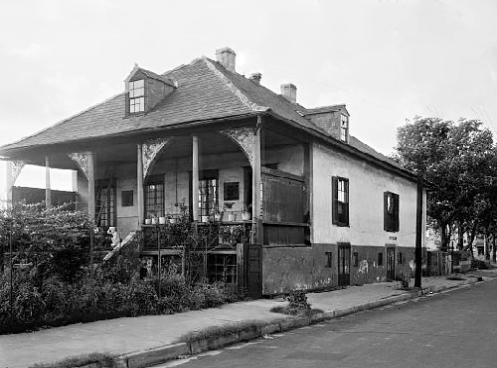 situated on what is now Chartres Street, was a working farm, fronted by the Mississippi River. replaced by newer houses, businesses or parking lots. But a very special few survived. 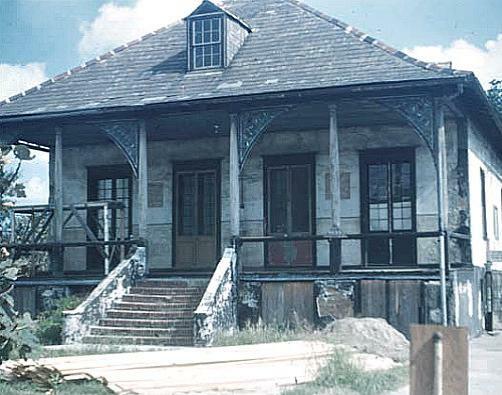 Starr (the restoration work taking years and completed only a month before the 2005 levee failures). suffered some damage, escaped the fate of so many due to its location on the "high" ground by the river. Built in 1826 by Joseph Lombard, a native of Chalons-sur-Seine in Burgundy, France. the two pictures below were taken in the 1940's, the condition was much worse. The situation wasn't destined to improve for another sixty years. 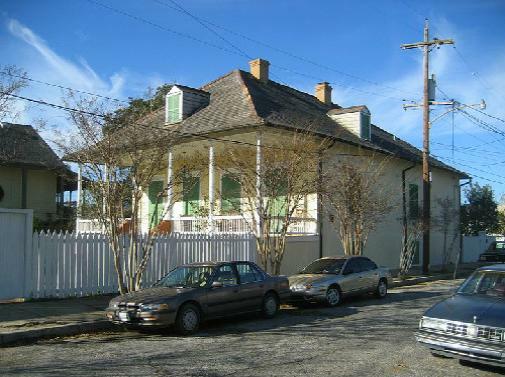 The restored Lombard house; photo taken in 2008.
first Ursuline Convent, both in the 1720's.